Energy Efficiency Rules for New Homes — Do YOU Comply? Even with the rise of the combi-boiler, hot-water cylinders still have a big role to play in modern home design. Though combi-boilers reduce the need for storage space, they are often unsuitable for more heavy-duty requirements and so the hot water cylinder is required to sort things out. Designing and building a new home, with all of the many aspects that must be taken into consideration to meet new legislation, brings many challenges in terms of energy efficiency. Part L of Building Regulations demands that energy efficiency requirements apply to every new dwelling or building converted to a dwelling - there are some exceptions relation to conservation areas and listed buildings. Amendments to the regulations in 2013 sought to increase the energy efficiency standard across Europe, causing leading UK designers, engineers and manufacturers to respond with highly-efficient product designs. Compliance with regulations and the obtaining of an Energy Performance Certificate is the combined responsibility of the owner, designer, builder and installer. Anyone who plans to construct a new building to be used as a dwelling place must obtain a DER and SAP (Dwelling Emission Rating and Standard Assessment Procedure rating) before the construction phase even begins. The SAP, produced by the government, is the method that is used to provide the most accurate and reliable picture of the dwelling’s future energy performance. Every part of a new dwelling, from its construction materials to its ventilation, is considered in the SAP and the control and efficiency of heating systems is a key element. To meet with NHBC regulations, there is a minimum flow rate that must be met, with the boiler output capacity easily able to provide adequate performance to outlets. Where there are many outlets with simultaneous demand, a combi boiler will fail to meet these demands and so hot water cylinders and booster sets become of paramount importance. Making sure all of the many demands set out by NHBC are met is crucial and HECAS are here to help. We employ a cherry-picked group of trained, experienced staff whose skills you can immediately take advantage of by contacting us by phone, email or online - they are able to guide you through the plethora of available components and solutions we provide to a diverse range of customers, every single day. 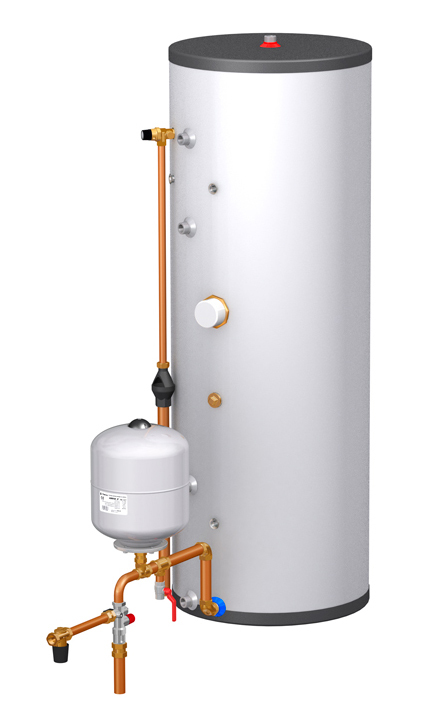 Find out more about the hot water cylinders supplied professionally by HECAS!